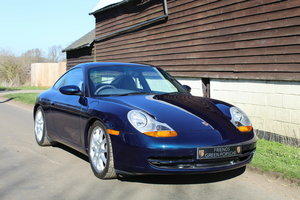 We are pleased to offer on behalf of one of our clients this highly original and beautiful Porsche Carrera 2.7l. 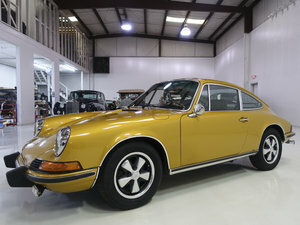 This car is a very early 1975 production Carrera (#19 of only 395 examples built) and is in remarkable condition. The body is very straight with factory gaps and shut lines and still carries it’s factory applied, original paint as verified by a paint meter. The front right fender may have had some touch up, but it has not been changed. All body panels are original to the car! 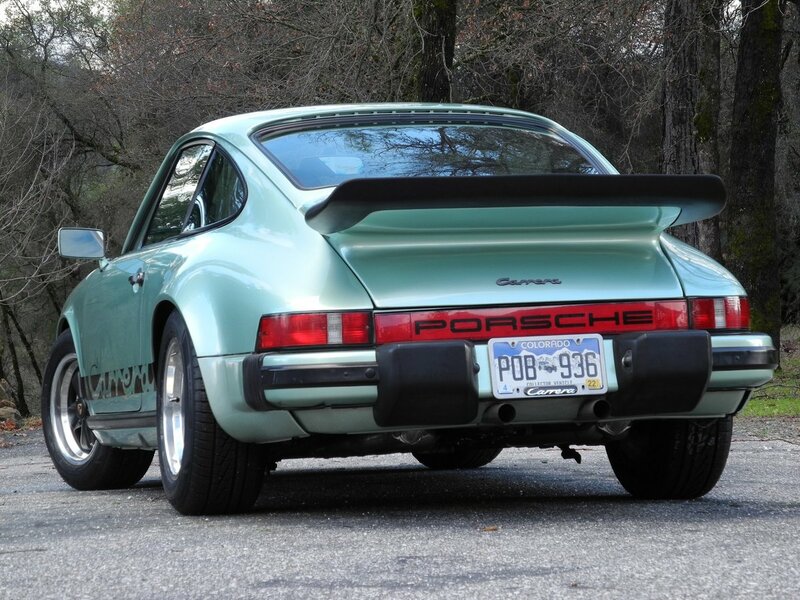 Finished in seldom seen Ice Green Metallic (code# 250) this Sunroof Coupe Carrera is very attractive and highly collectable. 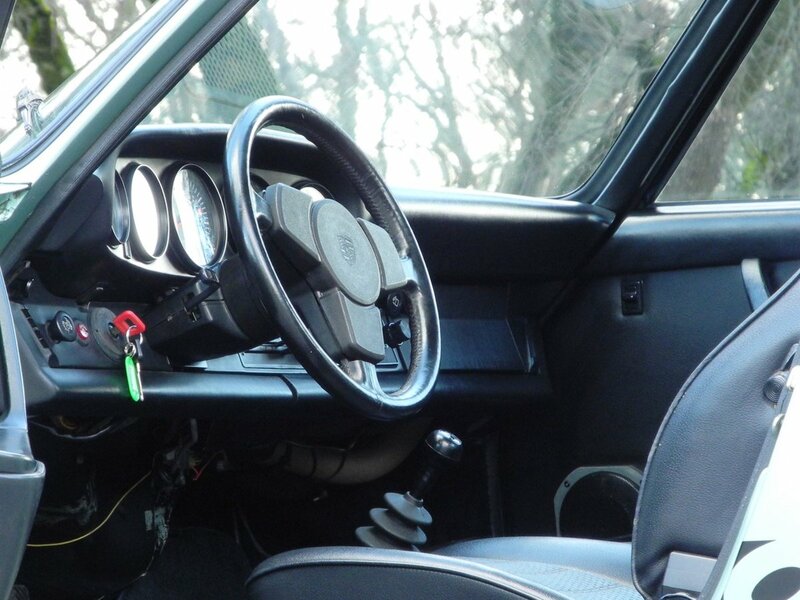 The black partial leather interior as well is completely original in fantastic condition, with original carpets, flawless door panels and excellent headliner. The dashboard is free of any cracks or warping and shows excellent. The only noticeable flaw is a seam that opened up on the driver seat, which is an easy fix. All instruments are in perfect working order. 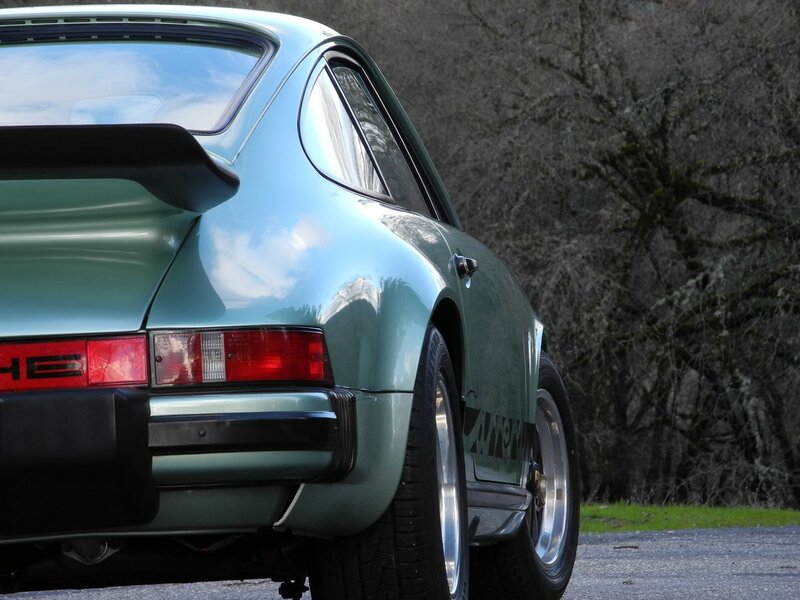 Mechanically, the car is brilliant and performs just the way it was intended to. 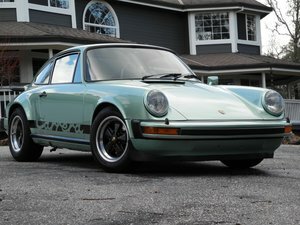 The car has been with the same Georgia owner (PCA member) since 1982 and had just recently (2016) changed hands. 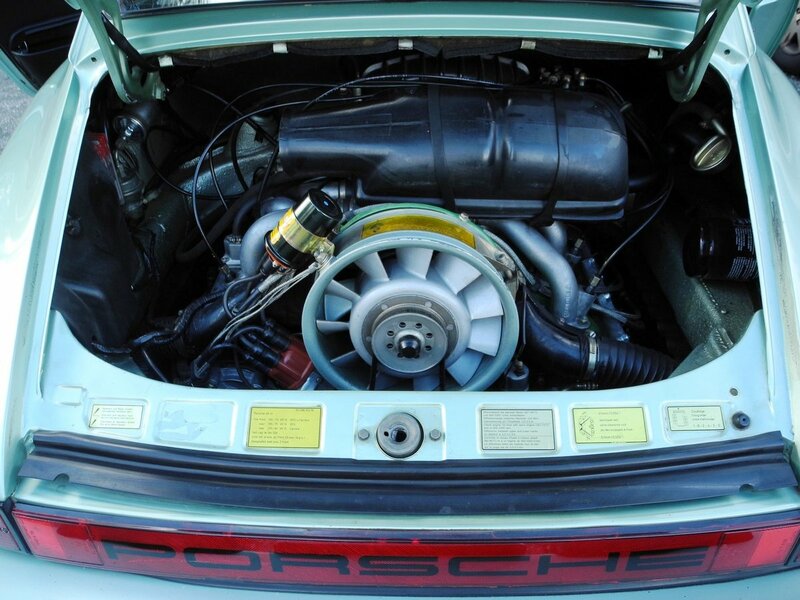 It has always been taken care of meticulously. 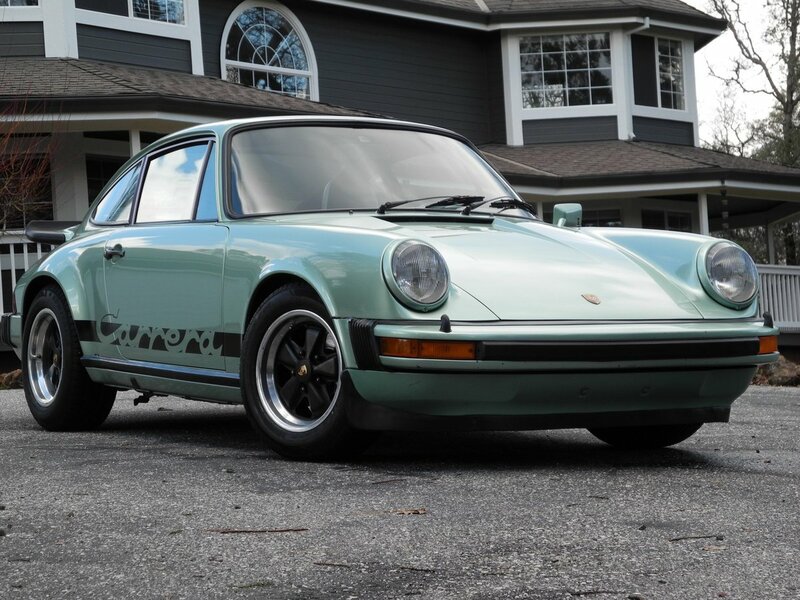 The limited build number (only 395 Coupes in 1975) and fantastic original condition along with a very rare and attractive color combination make this Carrera a highly collectable and enjoyable example. 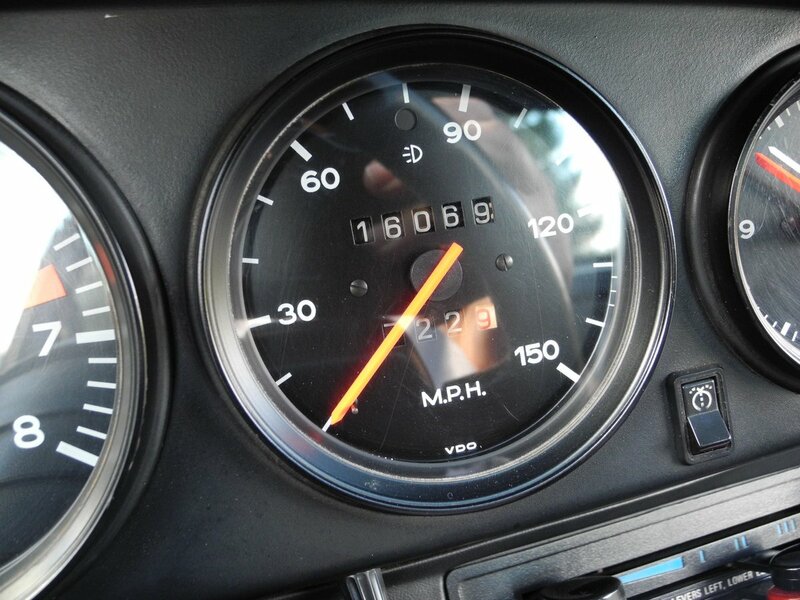 Of course fully numbers matching with Porsche Certificate of Authenticity! Manual, Jack, spare and air compressor included! Price: $ 76,000.00 ex Grass Valley, CA. 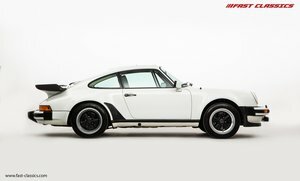 Model Carrera 2.7 Original Paint!